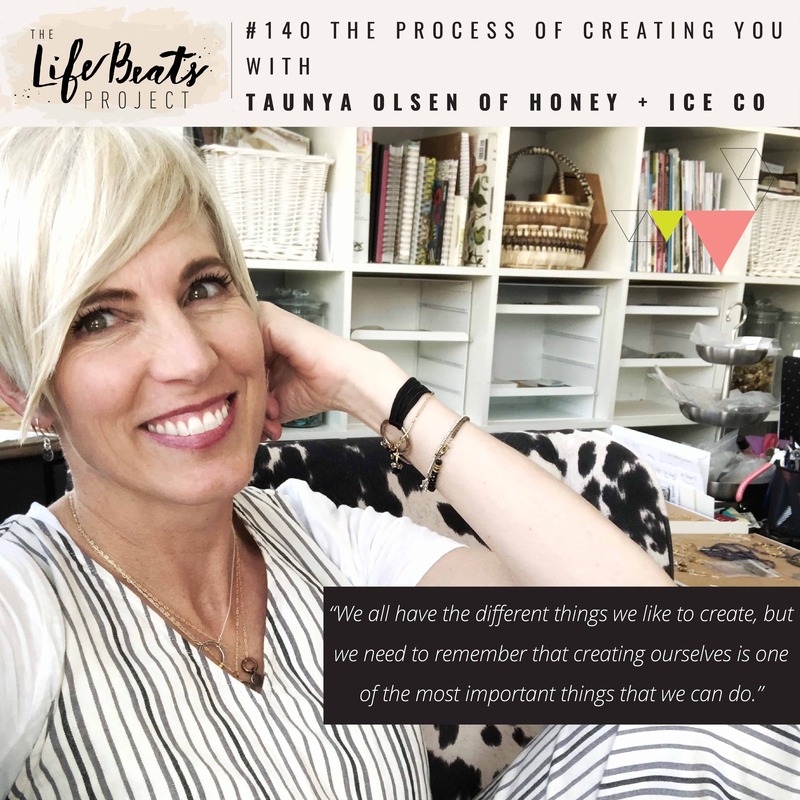 I am so honored to bring Taunya Olsen onto the podcast from Honey + Ice Co jewelry. She has been in the jewelry business for more than 18 years, but she has had a life of creation and learning to create and the joy that comes from creating. She shares with us what that was like as a little girl being able to create with her mother a variety of things and this love for creation that has carried throughout her life. She shares this period of time in which she had this transition that stemmed from an internal struggle that she had of wanting to be the best mom that she could be, but also wanting to be able to pursue her gifts and her dreams. She talks about this moment in her life that it actually created some depression and she was in bed for several months. She talks about what helped change things around for her. Those things that helped her to connect with the most important things in her life. And she talks about this process of creating YOU, that one of the most important things that we can create in our life, that we can do in our life, is this process of creating you, the process of creating ourselves. So friends, listen and be inspired to discover what your soul desires to create and that creating yourself is one of the greatest creation processes, to turn to your source of spirituality for connection and strength, and to know what is best for you and your family as you pursue your own gifts and dreams.